The best way to get to know a community is by scheduling a tour. See the facilities, meet the staff and residents, and get a feel first hand what it's like to live at Right at Home Greater Fairfield County Home Care. Because we serve a large area of Fairfield County, as well as towns in New Haven and Litchfield Counties, we have two offices to serve you better. Our main office is located at 518 Monroe Tpke., Monroe, CT 06468 and our satellite office is at 100 Mill Plain Rd., Danbury, CT 06811. Our phone numbers are 203-261-5777 (Monroe), and 203-300-5954 (Danbury). Right at Home of Greater Fairfield County provides service to many towns, including Bethel, Bridgeport, Brookfield, Bridgewater, Danbury, Easton, Fairfield, Georgetown, Middlebury, Monroe, Newtown, New Fairfield, New Milford, Norwalk, Oxford, Redding, Roxbury, Sandy Hook, Sherman, Southbury, Southport, Shelton, Trumbull, Weston, West Redding, Wilton, and many other surrounding towns. From the moment you call, we begin considering the specific needs of your loved one. We ask questions during the initial call or meeting to form a basic needs assessment. After discussing your particular situation, we will prepare an initial Custom Care Plan and then work with you to fine tune that Care Plan based on your loved one's specific needs. Once the plan is agreed upon, we match the right caregiver to implement the plan. We understand that many families strive to find ways to keep their loved ones at home, but in a safe manner. And, we also appreciate that for our senior citizens, and other adults who are starting to struggle more in their homes, maintaining their independence is clearly one of the most important things to them. Finding creative ways to help keep your family member, wherever they call home, while still ensuring their needs are met, and safe at the same time, is what we are all about. We can be there to provide help whenever needed. All of our caregivers go through an extensive interview process, including multi-state, background checks. 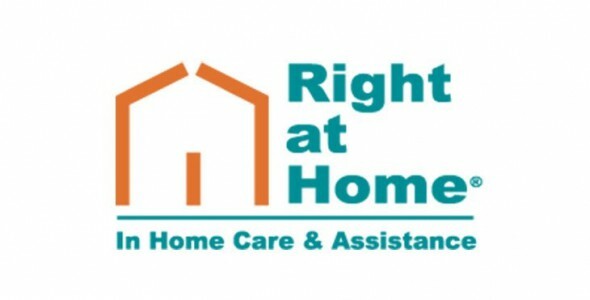 Once hired, they are trained through Right at Home University, on an ongoing basis, to ensure that they're able to deliver the care set out in your loves one's Custom Care Plan. Before providing care, they're also bonded and insured.